ANSWER: Use our Check Availability and Book Now page to check your date and time and we’ll respond letting you know if it is available. Just confirm and that’s it! ANSWER: Our drivers are excellent and can go nearly anywhere. As long as your driveway or street isn’t a very sharp hill, we can come. Otherwise, you can divert us to a nearby park, church or parking lot! ANSWER: That’s why we bring our Game Coach! He/She helps the kids along, inspires and instructs. We make sure it’s the party of the year! ANSWER: If you have such concerns, inform the Game Coach upon arrival and he/she will make sure that the gaming is appropriate. Otherwise, he/she will follow the lead of the guest(s) of honor and make sure they are having the time of their lives! ANSWER: We suggest that you tell your guests that the party is one hour or half-hour before our arrival time — that way they eat first & they all see the grand arrival of our mobile video game theatre! 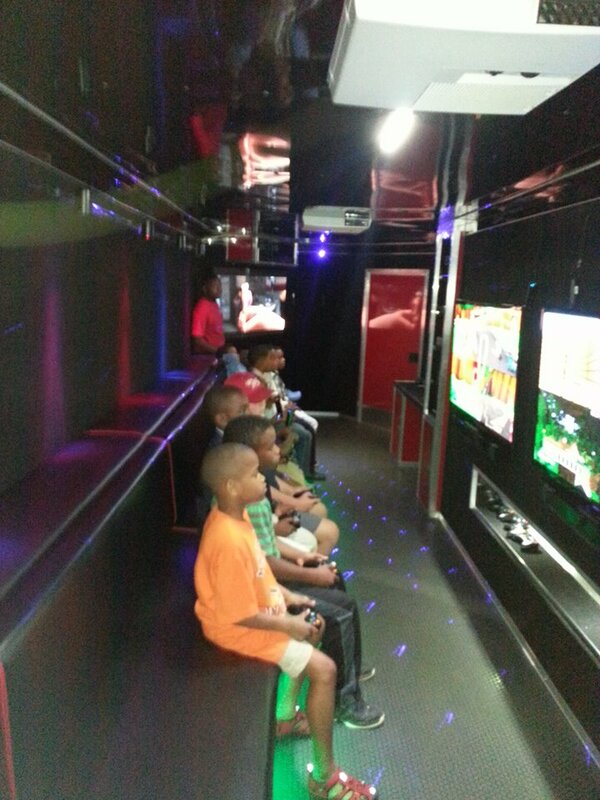 ANSWER: Our Game Truck is designed to allow 20 to play inside. Weather permitting, up to 8 more can play on the outside consoles. We can rotate players through for large events! Although there is no extra charge for birthday party guests, we recommend 28 as a maximum, remembering that 20 can play inside at once if weather does not cooperate. ANSWER: We always bring the full game library to every event and your Game Coach will listen to and make suggestions to make your event successful. We do request that if you want “M” rated games you send us an e-mail or list them in the comments section when booking. QUESTION: Do I tip the Game Coach? 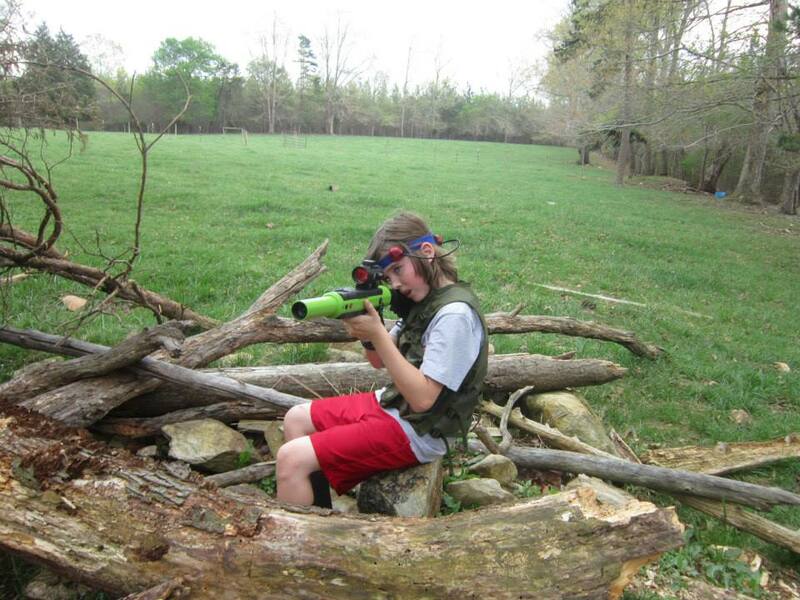 ANSWER: The Game Coach is there to make sure that your group is making the most of our high-tech fun. He/she tutors, inspires and entertains. Tipping for service is a great idea, but not required. ANSWER: Our reservations go quickly. In order to hold your booking, you must pay on line or arrange to drop your payment with us. Otherwise, your date and time is still open for booking by others. Please call to discuss if your organization or situation is an exception and we can talk about options. ANSWER: As soon as you confirm and pay for your party on line, we mail invitations to you. ANSWER: The Game Coach arrives in plenty of time to be setup and start your party at the designated start time. Normally between 10-20 minutes ahead of time. QUESTION: Where can I view your official Video Game Truck Party policies? 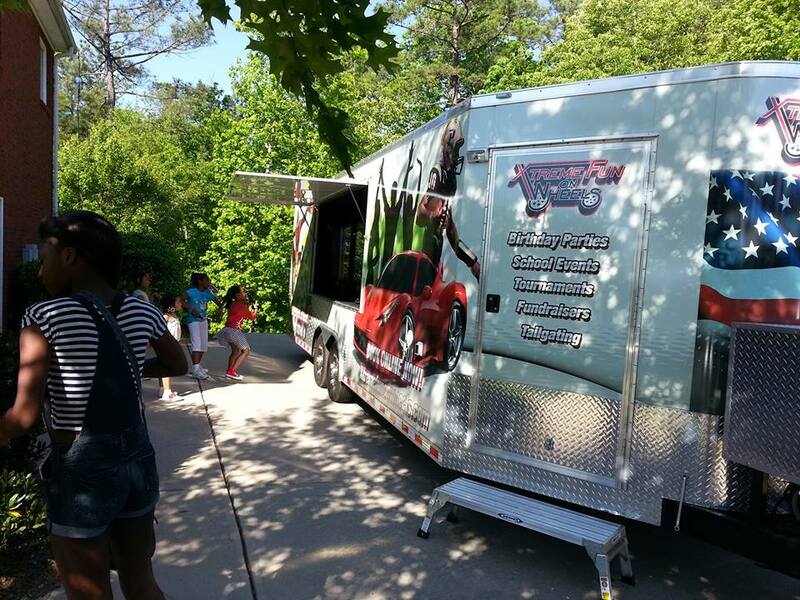 QUESTION: How can my organization raise funds through Xtreme Fun On Wheels? ANSWER: If a school, church or non-profit hands out our flyer and a party is booked as a result, the organization receives $20 cash back for fundraising. We will print the half-page, full color flyers and drop them off; all you have do is distribute them! No cost, no risk, no selling cookie dough! You can even do an e-mail blast! We can also raise funds by being part of a “kids zone” at a large event and either charging tickets to play in the Mobile Game Theatre or accepting a wristband or tickets for timed play. Depending on the arrangement, either a percentage goes back to the organization or 100% goes back, if the Mobile Game Theater has been hired in advance.